Hardcover, 10 x 13 in. / 48 pgs / 29 bw. 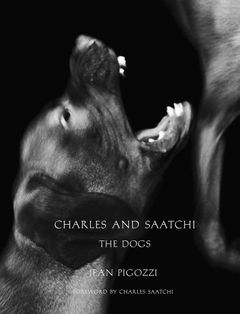 Over the last two summers, Jean Pigozzi (born 1952) has been taking photographs of his young, very playful dogs, Charles and Saatchi. This book compiles his portraits of the dogs and includes a foreword by Charles Saatchi. His latest work is a 48-page love letter to his two dogs, Charles and Saatchi, in kinetic, direct-flash photos that capture their puppy energy. FORMAT: Hbk, 10 x 13 in. / 48 pgs / 29 b&w.